Racial discrimination continues to be pervasive in cultures throughout the world. Researchers examined the level of racial discrimination in the United States labor market by randomly assigning identical résumés black-sounding or white-sounding names and observing the impact on requests for interviews from employers. Results found that résumés with white-sounding names received 50 percent more callbacks than those with black names, indicating that, all other things being equal, race is still an important factor in the American labor market. Racial and caste discrimination continues to be pervasive in cultures throughout the world. In response to this discrimination, particularly in the United States, equal employment policies have been established. Despite these policies it is unclear whether employers, when faced with observably similar African American and white applicants, favor the white one. Those who argue that employers do discriminate cite either employer prejudice or employer perception that race acts as a signal for productivity levels. Others argue that discrimination is a relic of the past, eliminated by some combination of employer enlightenment, affirmative action programs and the profit-maximization motive. It is difficult for researchers to parse out these effects, as employers may be able to judge candidates based on characteristics which are not observable to researchers. Despite significant indications of progress, racial inequality is still pervasive in the U.S. labor market. Compared to whites, African Americans are twice as likely to be unemployed, and earn nearly 25 percent less when they are employed. There may be many reasons for this stark difference—educational levels, cultural norms on work, and race-based employment discrimination could all be potential causes. The final possibility is of particular importance, and determining its prevalence should shape policy makers' future decisions on affirmative action and equal employment laws. Professors Mullainathan and Bertrand examined the level of racial discrimination in the labor market by using a randomized field experiment. Nearly 5,000 resumes were sent in response to over 1,300 newspaper ads for sales, administrative, and clerical jobs in Boston and Chicago. Résumés were randomly assigned either a black-sounding name (such as Lakisha Washington or Jamal Jones) or white-sounding name (such as Emily Walsh or Brendan Baker) to imply the applicant's race. Names were chosen according to frequency data obtained from birth certificates of Massachusetts births from 1974 and 1979. The validity of the names' "blackness" or "whiteness" was confirmed by surveys in public areas in Chicago. Résumés also varied by quality, with higher quality résumés having features such as summer employment experience, school-year employment, volunteering experience, extra computer skills, special honors, or military experience. Two high- and two low-quality résumés were sent to each job opening. 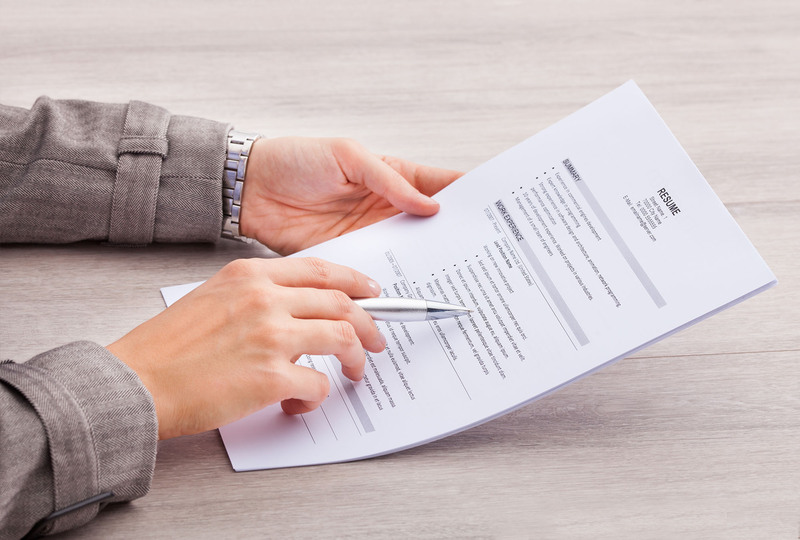 The responses of prospective employers were measured according to a given résumé's ability to elicit a call back or e-mail request for an interview. Impact on Employment: The results of this study indicate that, all other things being equal, race is still an important factor in the American labor market. An African American applicant's race certainly has negative effects on his employment prospects on average. Resumes with white-sounding names received 50 percent more callbacks than those with black names. But, regional differences are important to note - for example, in Chicago, employers located in black neighborhoods discriminate less against blacks. Based on researchers' estimates, a white name yielded as many more callbacks as an additional eight years of experience. There were no statistically significant differences in discrimination across the tested occupations, industries, and employers, and the level of discrimination was very similar in both cities. Federal contractors and employers who list "Equal Opportunity Employer" in their ad discriminated as much as other employers. Some qualities that we might think would level the playing field had minimal effects. For example, there is evidence that the returns to improving credentials for whites are much higher than for blacks. For resumes with white names, higher quality resumes received 30 percent more callbacks than low quality ones. For resumes with black names, the higher quality resumes did not receive significantly more callbacks. Whites living in richer, more educated, or whiter neighborhoods also have higher callback rates, but blacks do not benefit any more than whites from this neighborhood effect. Bertrand, Marianne, and Sendhil Mullainathan. 2004. "Are Emily and Greg More Employable than Lakisha and Jamal? A Field Experiment on Labor Market Discrimination." The American Economic Review 94(4): 991-1013.